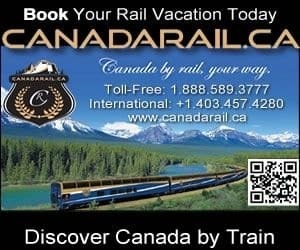 Duncan BC Canada adventures and travel guide for booking and planning accommodations, attractions and things to do in the Cowichan Valley on Vancouver Island, British Columbia, Canada. Duncan (aka "The City of Totems") is located on the southern half of Vancouver Island in what is referred to as the Cowichan Valley. Duncan includes the surrounding areas of Maple Bay, Genoa Bay and the village of Crofton. Duncan is the main commercial hub serving the Cowichan Valley. The top Duncan BC adventures and activities in the Cowichan Valley on Vancouver Island include golfing, boating, sailing, fishing, water skiing, ocean and river kayaking, mountain biking, hiking, wine touring, cycling, brew tours, birdwatching, scuba diving, and beachcombing. As you can see there is plenty of Duncan BC Canada adventures and things to do in the Cowichan Valley. The best Duncan Canada adventures and activity destinations located in the Cowichan Valley, British Columbia includes Shawnigan Lake, Maple Bay Beach, Cowichan River Provincial Park, Somenos Marsh, Mount Prevost, Eves Provincial Park, Mt. Tzouhalem, Koksilah River Provincial Park, Maple Mountain Trail, Quamichan Lake, Bright Angel Park, Spectacle Lake Provincial Park, Art Mann Park, and nearby Goldstream Provincial Park. Some of the most visited sightseeing attractions, art galleries, historical sites and cultural venues in Duncan, British Columbia include the Cowichan Valley Museum, BC Forest Discovery Centre, Quw'utsun' Cultural & Conference Centre, Cowichan Bay Maritime Centre, Stone Butter Church Historical Site, Cowichan Native Village, Cowichan Performing Arts Centre, Kinsol Trestle, Whippletree Junction and walk the Duncan Totem Poles. Places to stay in Duncan BC include accommodations like hotels, motels, inns, vacation homes, resorts, bed and breakfast, cottages, cabins, hostels, rental suites, campgrounds and RV Parks. Important services and amenities for travelers when exploring in and around Duncan, BC, Canada includes tours, guides, pubs, restaurants, gas stations, gift stores, big box stores, liquor stores, wineries, brewery, grocery stores, banks and wineries (Cowichan Valley is home to Vancouver Island's biggest collection of wineries and vineyards). Duncan and the Cowichan Valley transportation services including taxi, bus, rail, car rentals, regional airport, and two BC Ferry Terminals (Mill Bay, BC Ferry Terminal connects to Brentwood Bay near Victoria, BC. The Crofton BC Ferry Terminal connects to Salt Spring Island which is part of the Gulf Islands). Explore Our Duncan BC Adventures and Travel Guide.